Korean Cultural Center will present the 1st indie band fair in Hong Kong. 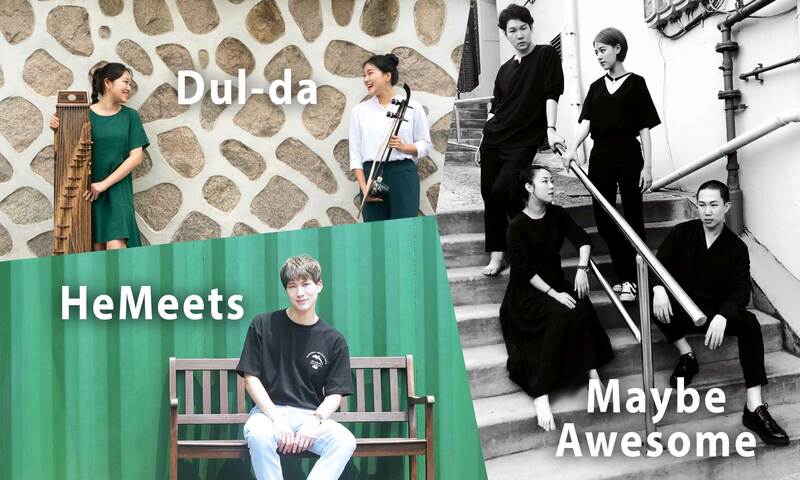 Korean Young artists of three indie band are participating in Festive Korea, where you can meet distinctive colors of performances which are <HeMeets>, <Maybe Awesome>, <Dul-da>. Each band is expected to show up their own concept in the fair.